IL-17-producing T cells have been implicated in the inflammatory milieu of chronic heart failure (CHF), which implies a dismal prognosis in affected patients. 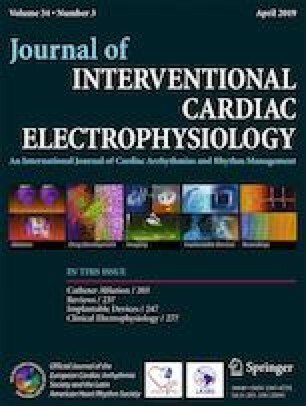 The aim of this study was to evaluate the impact of cardiac resynchronization therapy (CRT) on the frequency and functional activity of Th17 and Tc17 cells, as well as, on IL-17 mRNA expression in patients with CHF. Twenty-eight patients with CHF, analyzed before CRT (T0) and 6 months later (T6), and 15 healthy controls (HC) were enrolled in this study. Circulating Th17 and Tc17 cells were evaluated by flow cytometry. The quantification of IL-17A mRNA expression was performed by real-time PCR. Circulating Tc17 cells tended to be higher in CHF patients submitted to CRT than in HC (0.92% (0.24–3.32) versus 0.60% (0.09–3.68), although not reaching statistical significance. The frequency of Tc17 cells in CHF patients significantly decreases after CRT reaching levels similar to those of HC (0.92% (0.24–3.32) at T0 versus 0.56% (0.21–4.20) at T6, P < 0.05), mainly due to responders to CRT. Additionally, the expression of IL-17 mRNA was detected in a few number of responder patients at T0 (27%) and only detected in one responder at T6 (7%). Conversely, in non-responders, the proportion of patients exhibiting IL-17 mRNA expression increases from baseline (17%) to T6 (42%). No significant differences were observed in Th17 cells between HC, CHF patients in T0 and patients in T6. The inflammatory response mediated by circulating IL-17 producing cells seems to be suppressed by CRT, particularly in responders. This study received financial support from the PEst-OE/SAU/UI0709/2014 project. The study was performed in accordance with the 1964 Declaration of Helsinki and its later amendments or comparable ethical standards and the research protocol was approved by the local Ethical Committee. All the studied patients gave and signed the informed consent.